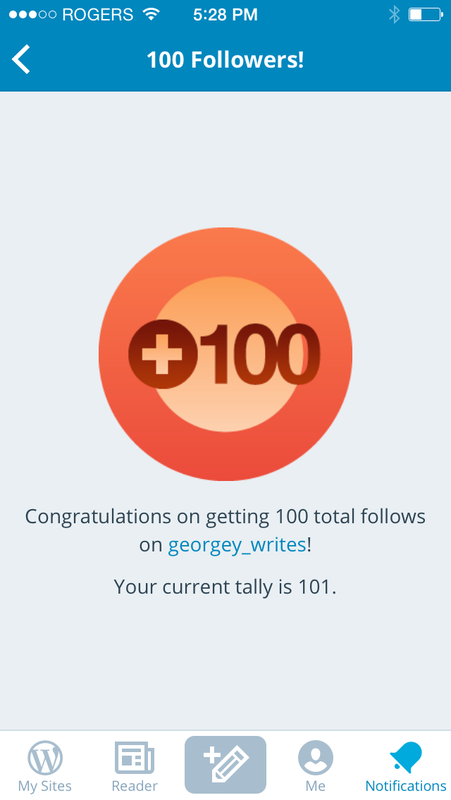 100 Followers, 100 Thank Yous! Dearest YOU, Blogger Community…. Thank You For Following! Fellow bloggers – you are AWESOME!!!! 100 Followers strong and every single follow has brought me more strength and more courage. Through you I am able to feel confident, where all my confidence had been lost. Through you I am connected, where before I was feeling so isolated. Through you I remember who I am and see the beauty of being-true-to-oneself through reading about who you are. Through you I believe that a ‘better life’ is possible, if I believe. Because of you I feel even more able to stand on my own two feet for the first time in my whole entire life. As long as I can be me, and you can be you – nothing can really go wrong. I started this blog because I was quitting drinking in an effort to save my marriage. I was also going through the process of publishing my book (still am). And to top it all off, I was adjusting to a new life in luxury travel marketing at a pretty swanky organization (still adjusting, it’s a pretty intimidating world! We have yacht sized conference room tables! ). But a few weeks ago, my life changed massively and permanently, and don’t think I would have been able to escape my situation without this blog in the background, and all of you somehow rooting for me? I have felt secure somehow, in this nest of non-judgemental bloggers who all have their own human struggles! I have not regretted. I have barely cried. I have barely stopped mind you!! But I know I am moving in the direction of becoming a healthier, saner, more balanced person – and mother – who will be better equipped to give something back to the world for having gone through it. In honour of you all I am going to start sharing some of the strength I have been gathering… tonight I’ve decided that I’m going to start volunteering at a women’s shelter. Through all of this, I have been aware that having a great job is a MAJOR difference between what happens to me next and what happens to women without financial security. I pledge to share this strength with others…. and help empower more people to say no to suffering, say yes to life…. and become the beautiful people they were born be. < Previous Love Life. Trust the Universe. Have no Fear. Congratulations! Keep writing and enjoying your journey. Thank you for sharing it with us! Congrats! I’ve really enjoyed and benefited from our interactions!! !